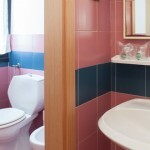 The Lepontina Milano residence offers studios in Milan with kitchenette and all the most exclusive services. The Lepontina Milano residence offers 60 studios furnished with taste and personality including: entrance, bedroom (single or double), kitchenette, private bathroom (shower or bathtub). The space of each studio has been designed in order to use every available corner and create a cozy and functional room. The functionality of the studios of the Lepontina Milano residence assures a comfortable stay and the location of the structure in a quiet area assures the necessary silence in every moment of the day and serene and quiet resting. 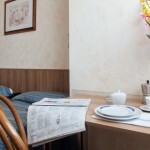 Discover a comfortable accommodation for your stay in Milan to experience the atmosphere of a home in our studios. The tourist tax, introduced by the City Council with Resolution n. 19 of June 11th, 2012, applies to all non-city residents staying at hotels and at all other accommodation facilities within Milan. Revenues from the tourist tax will finance actions for the preservation of the city’s artistic heritage and for the improvement of services for all tourists. 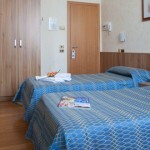 The tax is in force from September 1st, 2012 and applies to each visitor with fixed rates ranging from €. 1,00 to €. 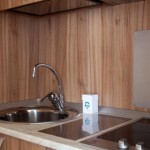 5,00 for each night of stay in accordance with the type, class and number of stars of the accommodation facility. Payments are due to the management of the hotel or other accommodation facility against issue of an individual receipt stating the amount paid or, alternatively, by the indication of the same paid sum on the invoice. Receipts should be kept for 6 years.